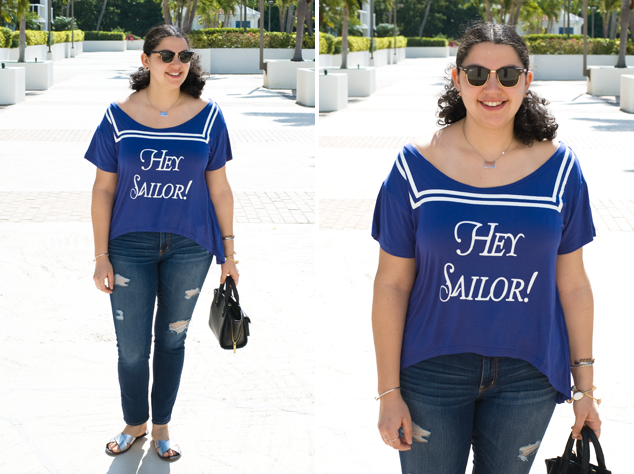 I have always been a fan of graphic tees - IMO the cheekier the better. 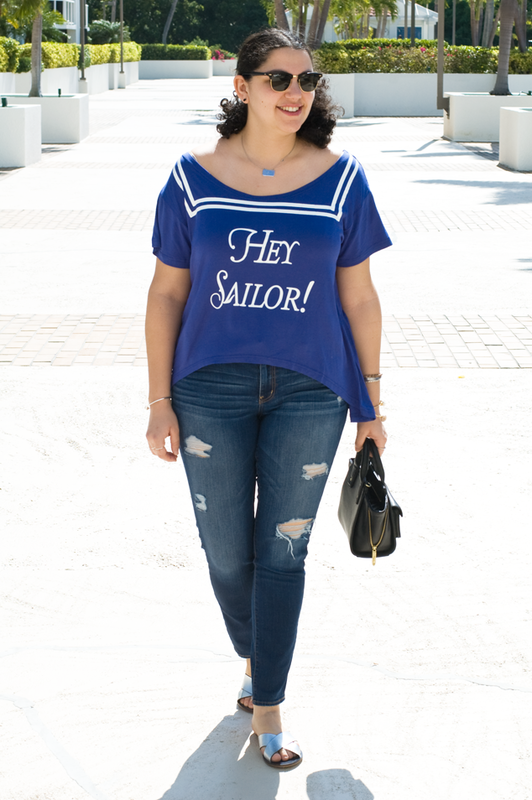 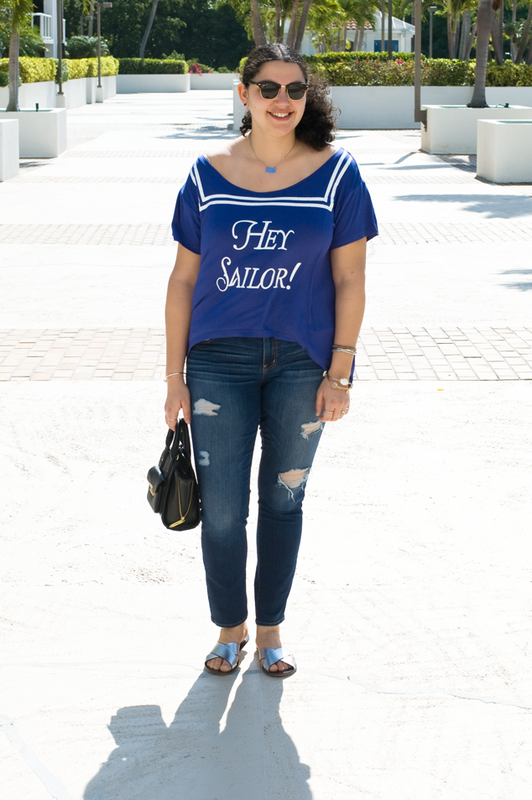 When I was contacted by Walk Trendy to style something on my site I was instantly drawn to this "Hey Sailor" tee. 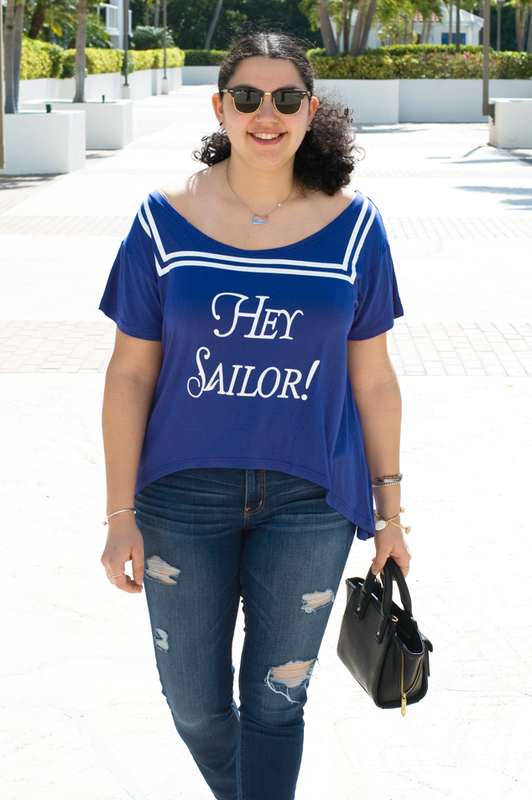 The shirt is even BF approved, few of my clothes are, so I expect it will be making numerous appearances this summer.